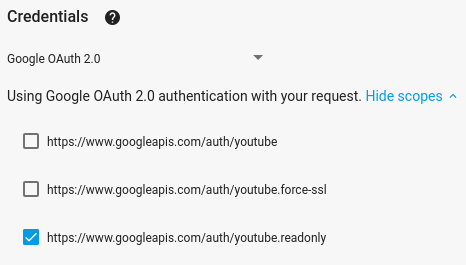 The google-auth-oauthlib and google-auth-httplib2 libraries for user authorization. The right side of the fullscreen APIs Explorer shows tabs with code samples in different languages. Select the Python tab. Copy the code sample and save it in a file named example.py. As with the previous example, select the Python tab, copy the code sample, and save it to example.py.